Looking for the best Bristol power washing service? You have come to the right place because at A to Z Softwash, we believe that only the finest will do. This applies to our equipment, handiwork, customer care and pricing. When it comes to taking the best care possible of the exterior of your home, trust in the name that all locals do for this type of cleaning work. 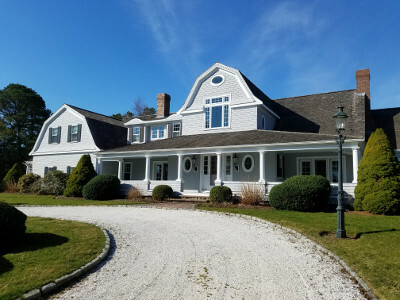 We believe you are going to love the work our Cape Cod roof cleaning and powerwashing specialists provide you with, especially once you see the finished results. We use only the best finest products and modern equipment to get the job completed. As a result, you receive long-lasting effects that will leave your home as clean as new. If you are ready to get started, call us today so we can provide you with a quote. It will make a world of difference when your home's exterior is clean. You will be amazed at what our professional Bristol power washing service can do for the exterior of your property! We have built up an impeccable reputation and a high percent of repeat and referral business by providing our local customers with everything they need in exterior cleaning services. Our goal is to be the team you can rely on for improving the exterior look and well-being of your home. It would be an honor for us to help make your home look as good as new again. Plus, keeping it clean by removing harmful pollutants such as mold, helps prolong the materials and structure. Let our pressure washing pros here at A to Z Softwash show you how different your structure can look after it is professionally power washed. It is important to stop putting off the roof cleaning chore. This may not be a part of your home that you notice very often, especially because the buildup happens gradually over time. But if you go outside now and see dark streaks or algae, then it is already past the time you should have called us. These stains are eating away at your roof shingles. Our main goal is to make your life easier by taking care of the tasks that you can’t or don't want to do. For all your Bristol pressure washing and related services, the name to rely on is A to Z Softwash, so contact us right now. We look forward to having the opportunity to provide our services to you. If you are looking for a Bristol, RI roof cleaning and exterior softwashing service, then please call 508-209-7795 or complete our online request form.